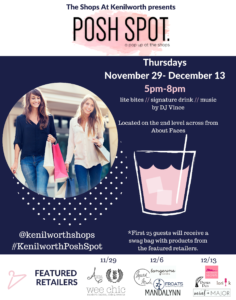 A new style of collaboration is finally here—join The Shops at Kenilworth & local Baltimore boutiques for Posh Spot: a seasonal pop up at the shops! Featuring the latest and hottest of product to help fill your closet, complete that perfect holiday look or even check off your holiday gift list. Meet us on the 2nd level across from About Faces for complimentary lite bites from Atwater’s and a special signature drink from Kenilworth Wine & Spirits. Plus enjoy live music, and more while you shop! 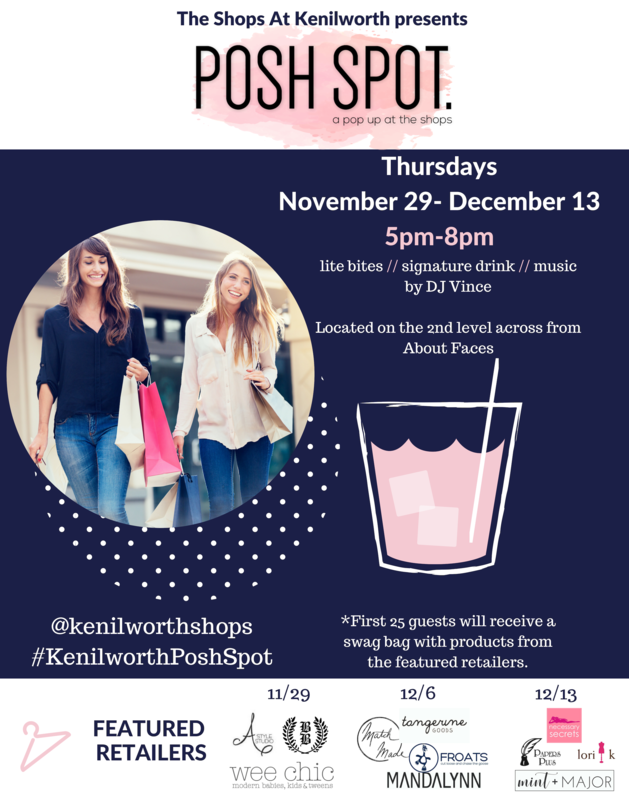 The first 25 guests at each pop up will receive a fun swag bag with products from those displaying (so don’t be fashionably late).